Nicebee Car Oil Extractor Pump DC 12V 60W Fuel Transfer Pump Car Motorbike Diesel Fluid Scavenge Oil Liquid Exchange Transfer Oil Pump by Nicebee at Lazaranda Dallas. MPN: 4333091172. Hurry! Limited time offer. Offer valid only while supplies last. The 12V fuel transfer pump is an ideal equipment for quick and clean oil changes. It works great for pumping engine oil, diesel and heating oil. 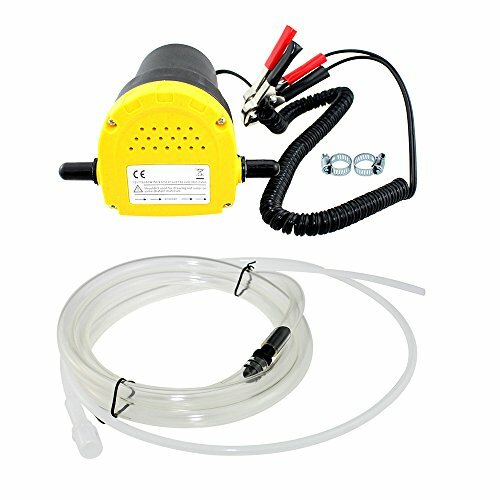 The 12V fuel transfer pump is an ideal equipment for quick and clean oil changes. It works great for pumping engine oil, diesel and heating oil. An ideal equipment for quick and clean oil-changes. It's works by connecting the clamps to the car battery. Ideal for motorcycles, vans, cars, quads and other 12V vehicles. Suitable for pump engine oil, diesel and heating oil. 2. The working-period for this oil-extractor should not exceed 30 minutes. If you have any questions about this product by Nicebee, contact us by completing and submitting the form below. If you are looking for a specif part number, please include it with your message.